Beats by Dre's new relationship with Apple is starting to pay off — even for those of us who don't own an iPhone. Beats by Dre's new relationship with Apple is starting to pay off — even for those of us who don't own an iPhone. 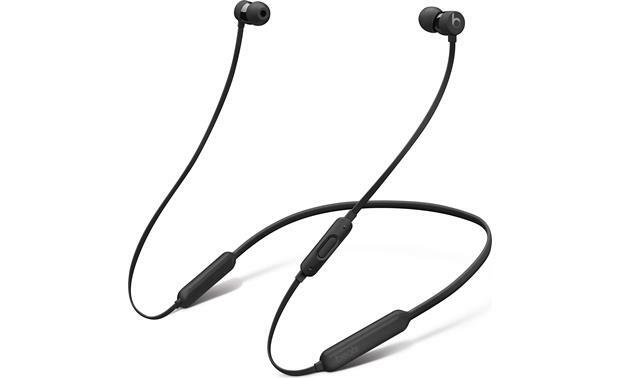 Their BeatsX neckband headphones can play music wirelessly from any Bluetooth-enabled device. And thanks to Apple's new state-of-the-art W1 chip, they have a stronger battery life. 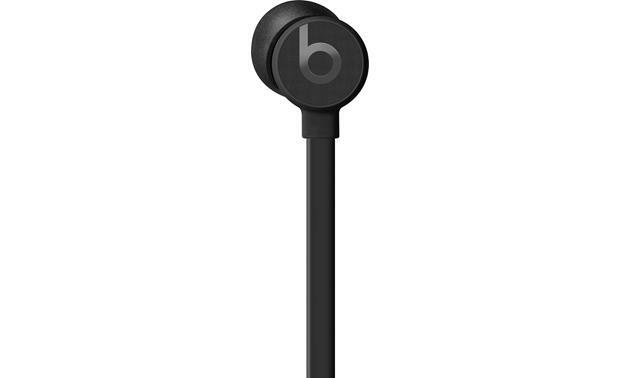 You get eight hours of Beats' famous bass-heavy sound on a full charge. Perhaps more impressive — a quick, 5-minute charge can give you two full hours of wireless listening. "There's much to love about the BeatsX headphones. A LOT of value here. Durable and comfortable, and the clever neckband design feels both secure and flexible. Wireless pairing with my wife's iPhone 6 was super-fast. 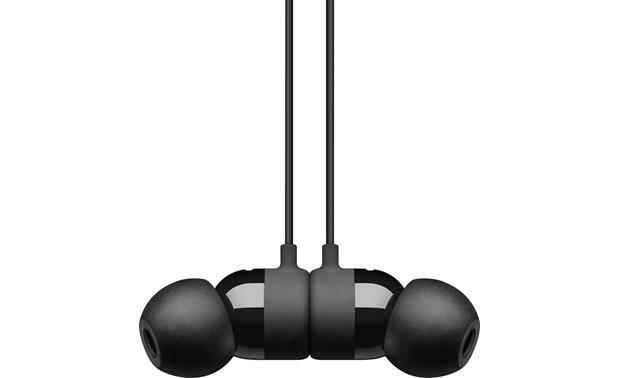 The BeatsX earbuds attach to each other magnetically, so you can easily keep track of them. The BeatsX headphones fit comfortably around your neck and feature an in-line remote for taking calls and controlling music, on the move. They fold up easily into a pocket-sized bundle when you're done listening. 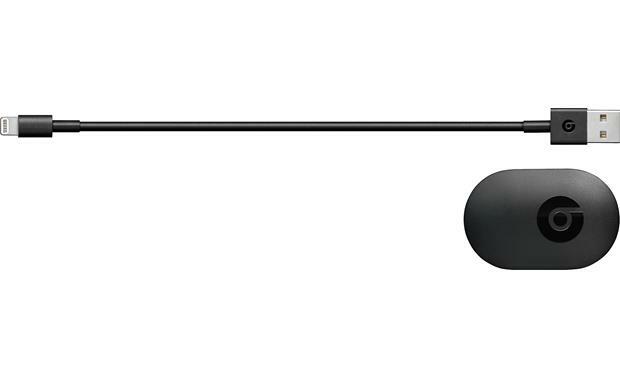 Or, you can stick the two earbuds together magnetically and wear them around your neck. Of course, if you do have Apple devices, you're really in for a treat. A one-tap connection syncs up your compatible iPhone with these headphones, wirelessly. Then, you're automatically paired to other devices on your iCloud account, like your Apple Watch®, iMac®, or iPad®. The W1 chip ensures a strong, seamless connection. Connect with no problem. Not insane bass like I expected, but good enough for me. Didn't muddy up my metal/rock music. Good fit and don't fall out while running. I don't even use the wings. The cord that rests on your neck is a good length. Battery life seems to be as good as advertised. 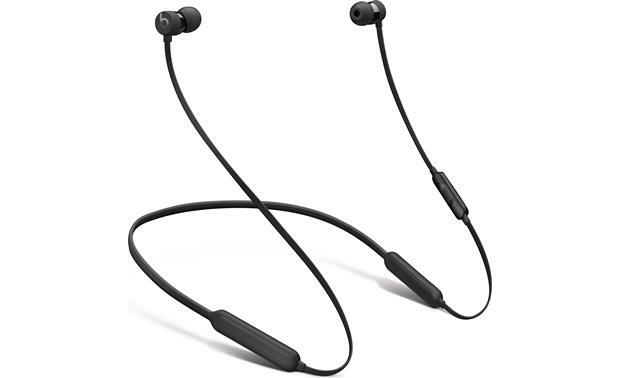 Earcup Width x Height 0.482" x 0.482"
Overview: The BeatsX in-ear Bluetooth headphones are designed for active lifestyles. 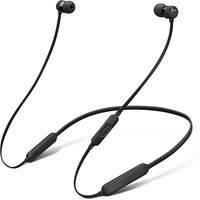 The ear buds are connected via a soft, rubberized Flex-Form cable (32" in length) for all day comfort. They come with four sizes of ear tips, plus removable secure-fit wingtips, so they will stay in your ears as you work out. You can control your music and phone calls with the in-line RemoteTalk remote/microphone. The ear buds are magnetic, making it easier to keep your BeatsX tangle-free and in place around your neck when you're not wearing them. 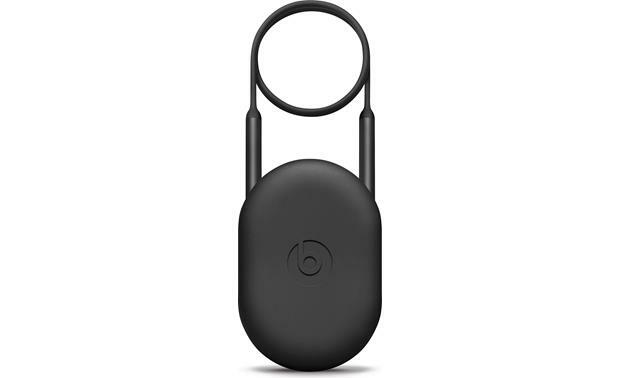 The BeatsX are powered by a rechargeable battery, and come with an 8" USB-to-Lightning charging cable, and a unique rubber storage case. 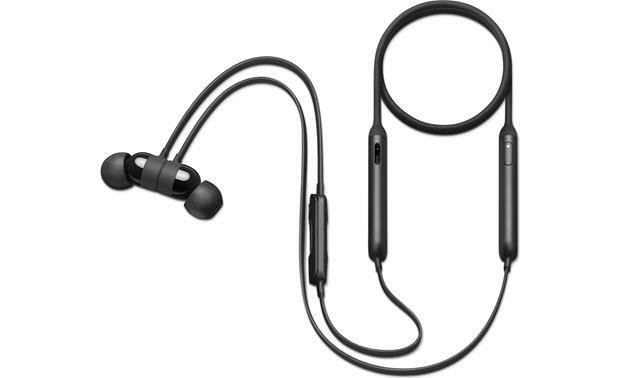 W1 Chip: The BeatsX feature Apple's W1 chip, which gives the earphones greater efficiency and better Bluetooth connections. The BeatsX offer up to 8 hours of battery life for longer, multiple workouts and all-day usage. The W1 chip also makes the Bluetooth connection rock solid with fewer dropouts. When pairing with a device running iOS 10, pairing is simplified. Place them near your device, and a prompt will appear on the screen asking if you wish to pair them. The pairing data is also tied to your iCloud account for faster re-pairing. 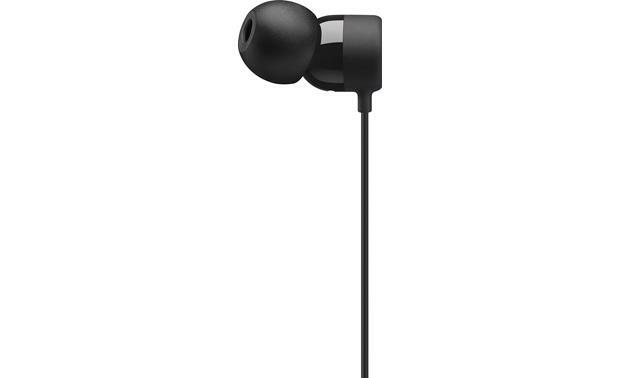 RemoteTalk: The ear buds are connected by an adjustable wrap-around flat cable with an in-line 3-button RemoteTalk remote and microphone. The controls are fully compatible with iPhone, iPod, and iPad, with many compatible features with Android, Blackberry, and Windows devices. RemoteTalk controls volume and music playback (pause/play, next track, previous track), as well as Voice Command (Siri) and Answer/End call. 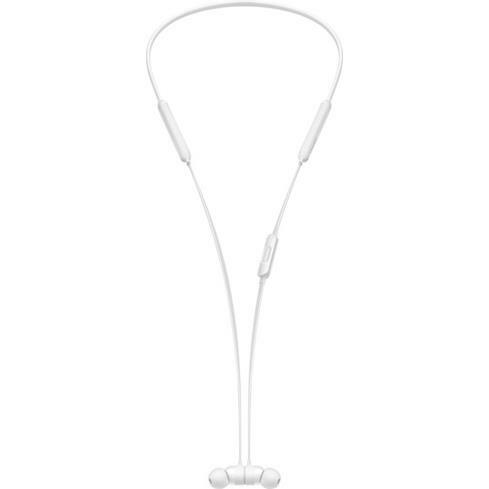 Rechargeable Battery: The BeatsX headphones are powered by an 8-hour rechargeable battery. A short USB/Lightning cable is provided for charging the battery via your computer or another USB charging port. The battery has a Fast Fuel feature that will provide about two hours of playback with a 5-minute charge.